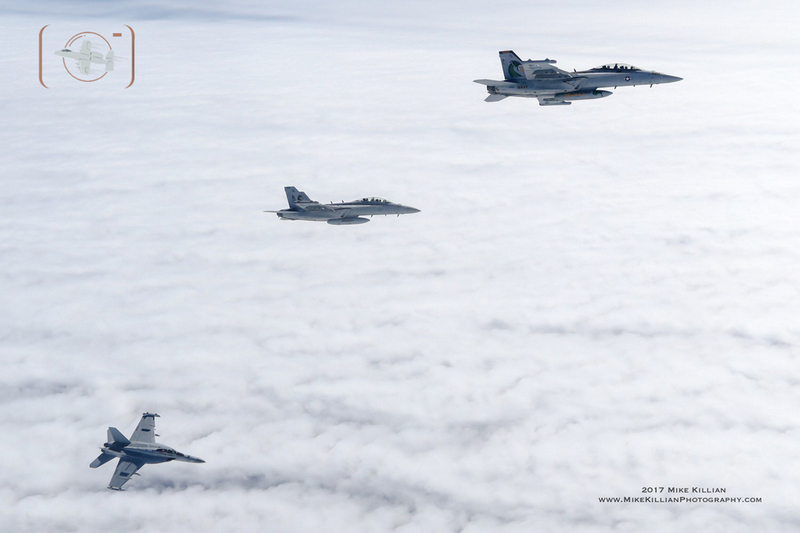 Electronic Attack has long played a critical role in military aviation warfare for the United States, taking out an enemy’s defenses, radar and anything dependent on electronics to operate. These squadrons essentially blind the adversary and take out their ability to attack or defend, before sending in the fighter/bomber crews and ground troops to clean house. The U.S. Navy commissioned its first Electronic Warfare squadron in 1959. Originally known as Carrier Early Warning Squadron Thirteen (VAW-13), they flew AD-5Qs and adopted the nickname ZAPPERS, and made a Dragon their squadron emblem. 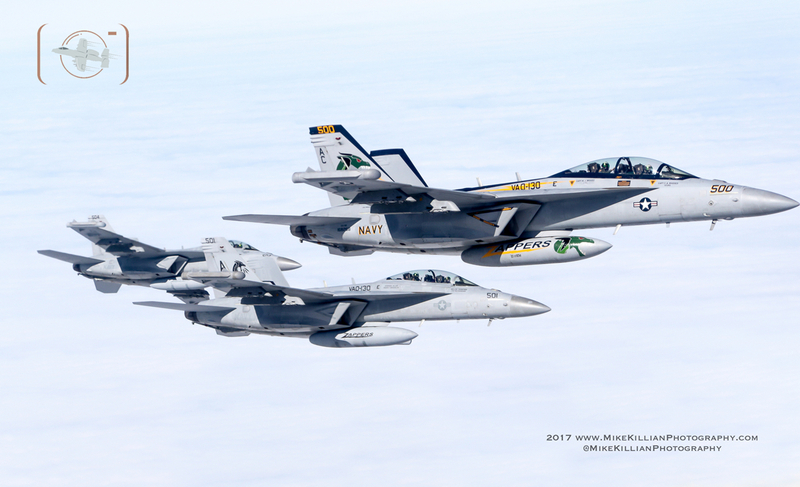 They were re-designated Electronic Attack Squadron 130 (VAQ-130) nine years later, and supplied support detachments aboard all Pacific and Atlantic aircraft carriers, flying the EAK-3B Skywarrior to provide electronic countermeasures and air-to-air refueling capabilities. 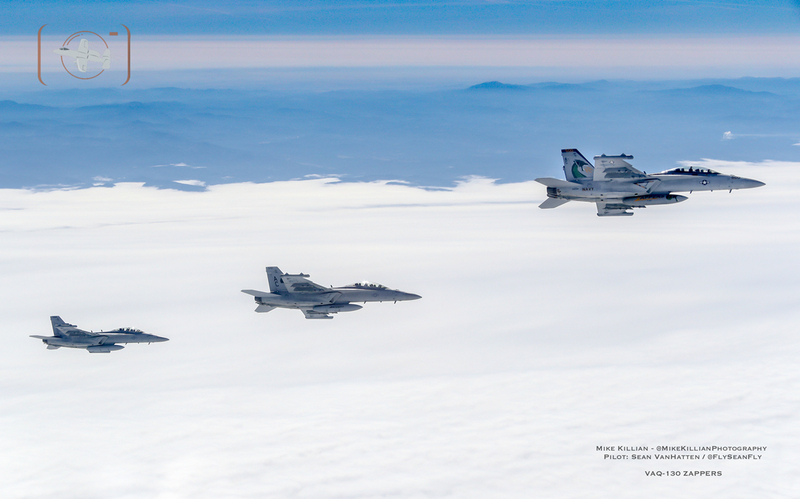 The squadron moved to NAS Whidbey Island, Washington in 1975, just north of Seattle, now home of all Navy tactical electronic attack squadrons, and transitioned to flying the EA-6B Prowler until late 2010, having made numerous deployments all around the world and winning numerous awards over the years. 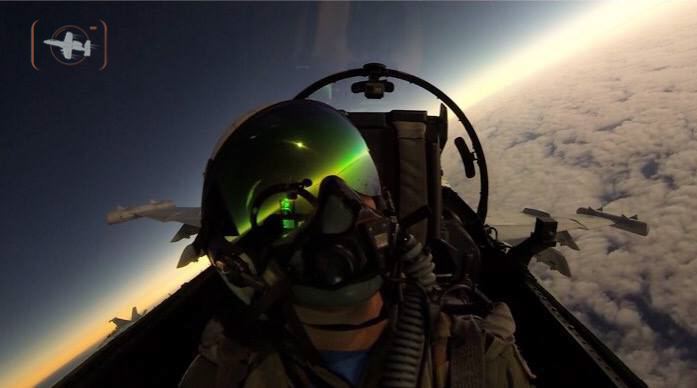 In the time since, the ZAPPERS, along with all Navy Electronic Attack Squadrons, have employed the new state of the art E/A-18G Growler, a variant of the Super Hornet, and most recently saw action in support of Operation Inherent Resolve in Iraq and Syria for 7 months while in both the Mediterranean Sea and the Persian Gulf. Currently commanded by Brenden “TESS” Stickles (best call sign ever), the ZAPPERS have maintained a vigorous schedule as part of sustainment and the Optimized Fleet Replenishment Program throughout 2017. They completed a Large Force Exercise week with Carrier Air Wing THREE in Oceana, VA at the beginning of March, and during the first two weeks of April detached aboard the USS DWIGHT D. EISENHOWER for their Sustainment Exercise, which involved a deck certification followed by an intense 10 day war game with both Large Force Exercises and Carrier Strike Group Exercises. 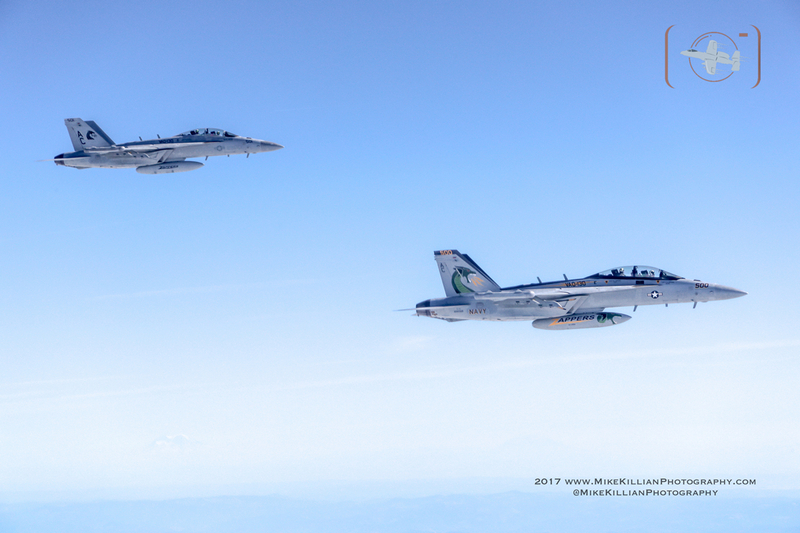 But a natural phenomenon which occurred within striking distance of the NAVY’s Whidbey Island Growlers this past August, gave APD a rare opportunity fly alongside them to tell a truly unique story, or at least that was the plan originally. 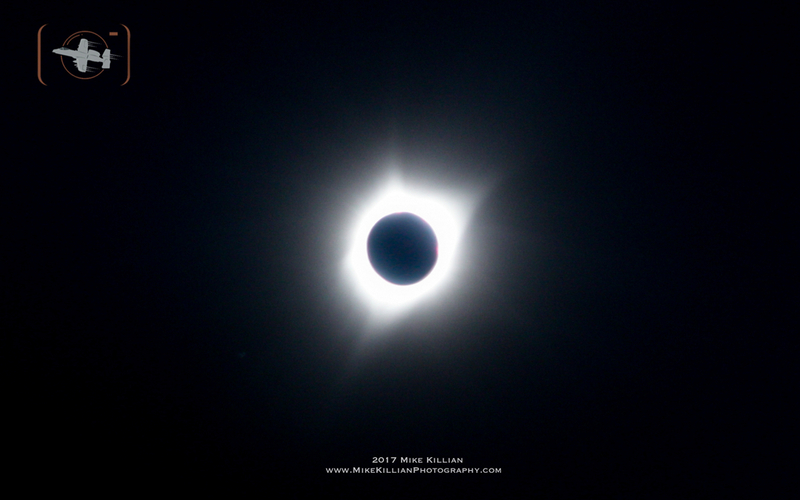 Millions of people journeyed into a 60-70 mile wide path stretching from Oregon to South Carolina to experience witnessing the moon completely block out the sun on August 21, 2017. 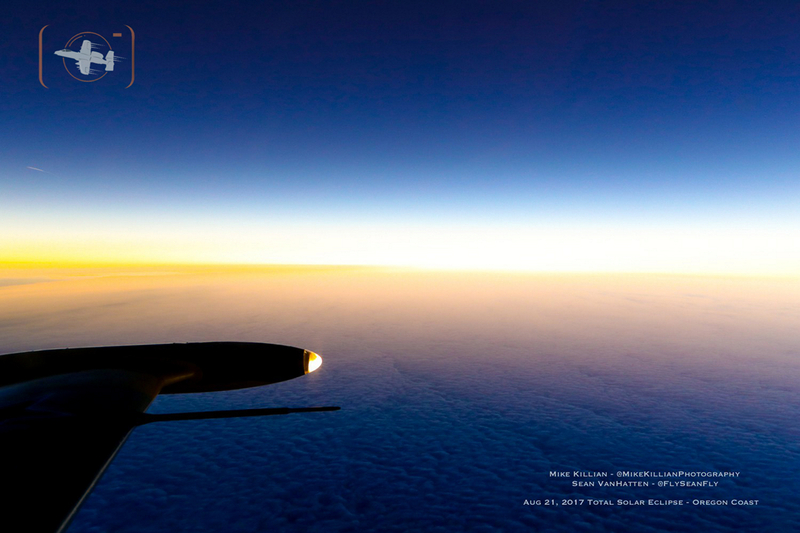 For many, it was the first time a total solar eclipse has occurred over the mainland U.S. in their lifetimes, including myself, and being an aviation photojournalist my first instinct was, naturally, to fly into it. So I began work early in early 2017 to set up an assignment to intercept totality with one of the Navy’s tactical electronic attack squadrons out of NAS Whidbey Island, WA. The eclipse path of totality would pass just a few hundred miles south, over Oregon and into Idaho; easy striking distance for Whidbey’s Growler squadrons who can get a solid 1,200 miles on a full tank of fuel. 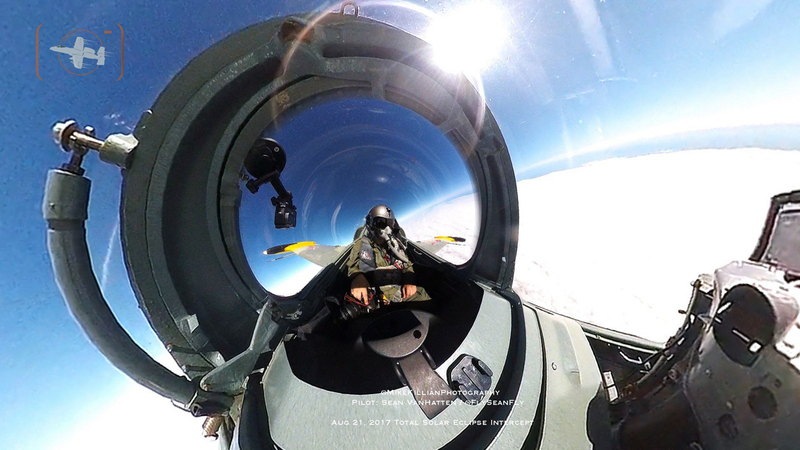 The idea was to capture the Growlers with the eclipse and entire scene unfolding behind them, flying various maneuvers for photography and video, producing aviation images and a story the world has never seen before. 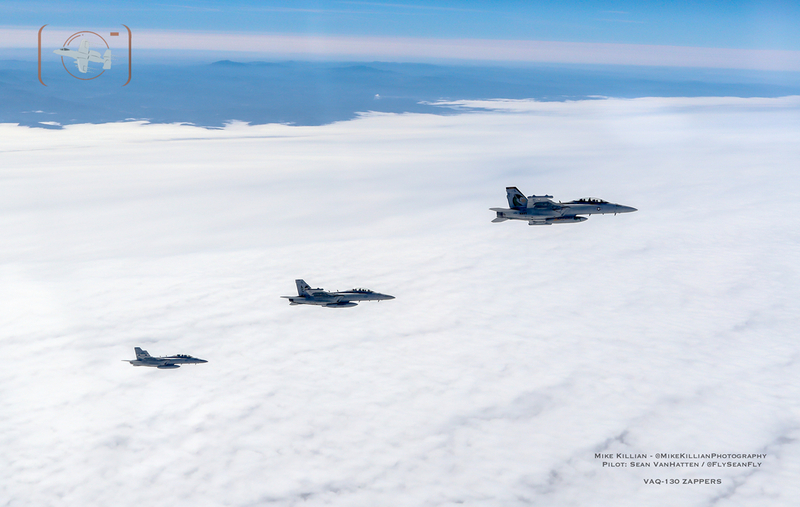 The hardest part was finding a squadron with a schedule that could support the mission, but after months of work, and with the support of Chief of the Navy, the mission was given a GO to fly with VAQ-135, the BLACK RAVENS, who worked hard this summer to get the mission approved (our thanks again to VAQ-135 PAO and CDR Mike “Jockey” Lisa for their support). 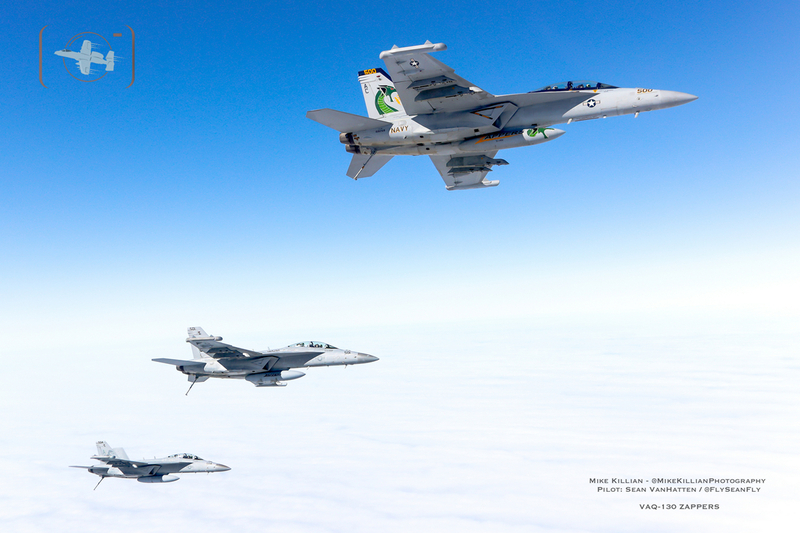 Unfortunately, the squadron had something come up just days before the mission, which took them from being able to support the flight, so they informed sister squadron VAQ-130 and CDR Stickles, who enthusiastically agreed to take on the mission at that point. Naturally, I urged the Navy to put me in a Growler, which would keep us together at all times in and out of the eclipse, as well as providing an opportunity to race the shadow of the moon briefly at mach. 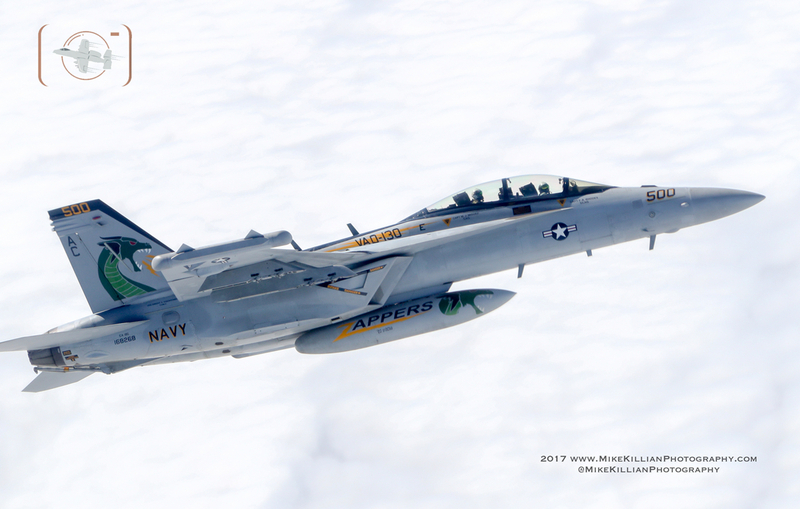 And while the squadrons were fully supportive, commodore would not even consider putting me in a Growler, citing classified systems still onboard the jet. 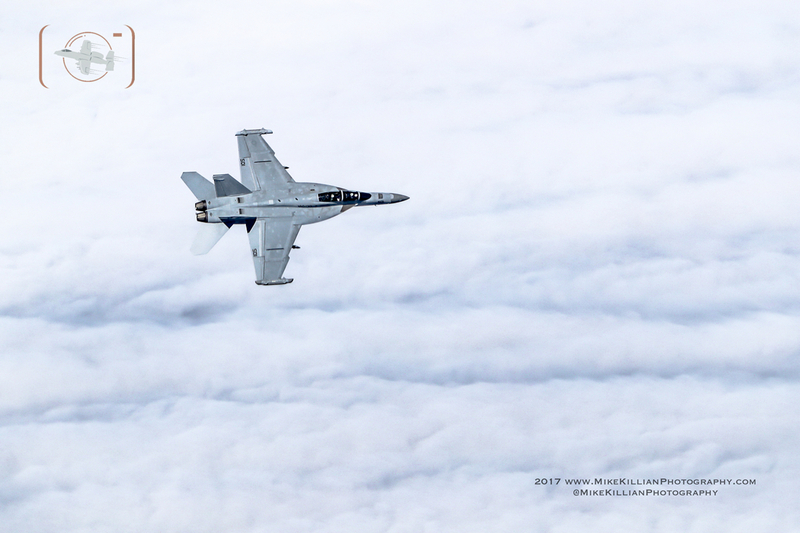 So while conducting this assignment from a Growler was not going to happen, Navy leadership was open to me flying a private photo ship. 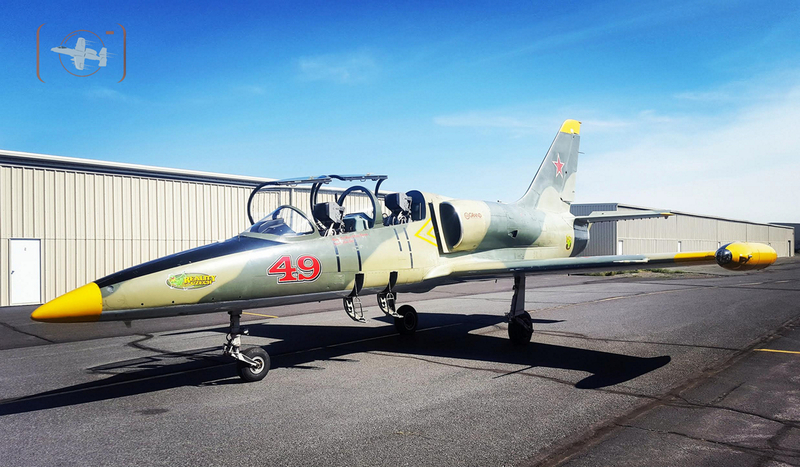 Reno air racer Rick VanDam stepped in to help by providing an L-39 to ensure the mission moved forward, courtesy of Advanced Flight Dynamics, a company whose expertise is on various specialty flight training. We had to depart from different airport in different states, and a full week of flight planning ensured we were all confidently on the same page with the flight plan. Once offshore, we were to rendezvous and fly a well planned intercept profile from SW to NE in an “S” pattern to capture the mission’s image objectives. 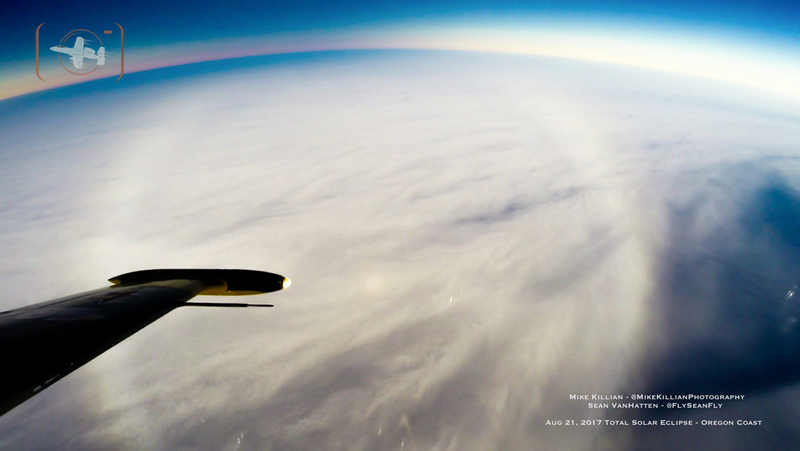 We actually planned an early rendezvous, so we could fly a rehearsal of the intercept profile, since totality only lasted 2.5 minutes anyway (we weren’t racing the shadow, we simply wanted to merge into it for the photography with the Growlers). FAA/ATC Seattle were made aware of plans prior, and advised there would be no issues and no special restrictions in place for the eclipse that morning; “business as usual” in the sky. My gut immediately said that was a sign of difficulties to come. And so it proved true. 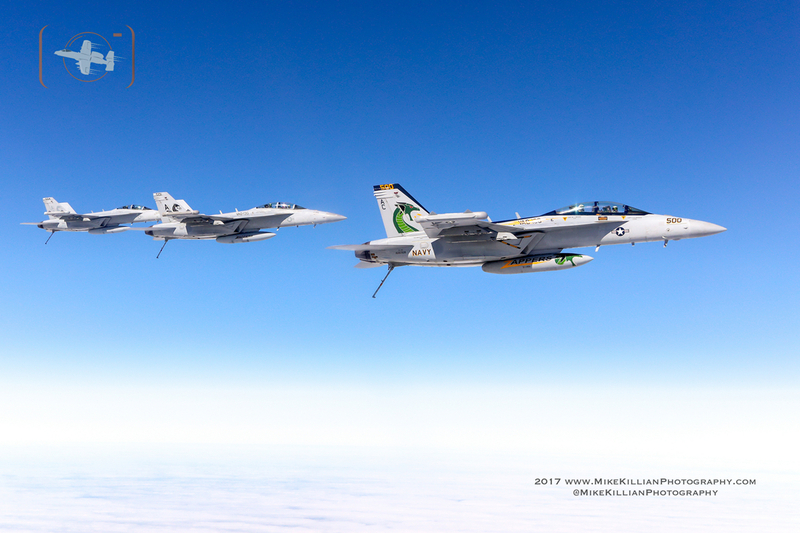 Seattle ATC would not allow the Growlers (flight of 3) to proceed where they needed to go for our rendezvous, then ignored repeated requests from the L-39 for 5 minutes, requesting rendezvous with the Navy. By the time ATC decided to give us the GO we needed 5-10 minutes earlier, it was already too late, the moon’s shadow was already visible approaching from the west, speeding rapidly at over 2500mph. At this point we were descending quickly to 17.5k and headed west for rendezvous as the Growlers pushed in afterburners to reach us too, but it had already started. We proceeded into the moon’s shadow, and into totality, listening to CDR Stickles “Dragon 1” growing quite frustrated and realizing ATC just unintentionally sabotaged the mission. You’ll note in the video we are flying west, instead of east and facing totality. That’s because ATC had us off our planned flight profile (which was SW to NE, with the eclipse out my right side); we were still hopeful to catch the Growlers in time, who were further offshore. It’s very surreal in the cockpit as the moon’s shadow takes over, it went dark quickly, and the cockpit went cooler suddenly too. 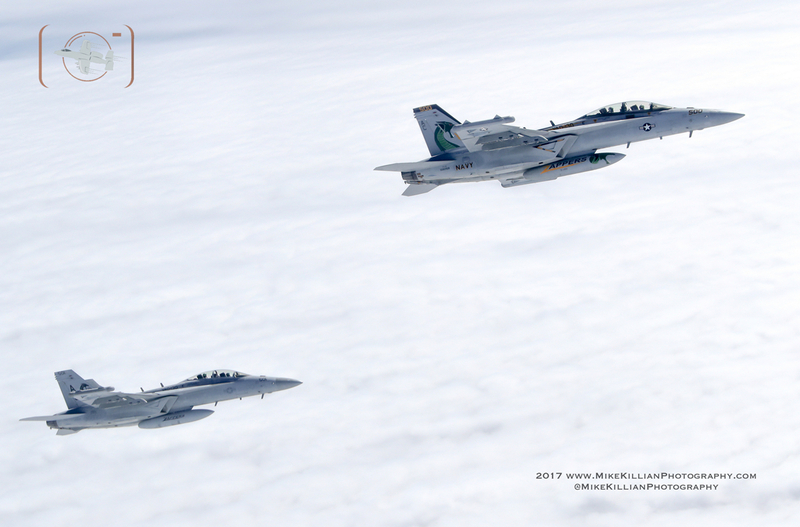 The radio chatter also calmed down quite a bit, as other pilots must have been as awestruck as we were. It was stunning to see sunrise and sunset 360 degrees around, the stars were out and the sun’s corona danced around the moon with the same brightness as a full moon, and it seemed to be over as quickly as it began. The Growlers were able to capture a few images in the eclipse, as they raced to try and reach us in time. Departing totality we began an orbit at the order of Dragon 1, as we awaited the Growlers and watched the moon’s shadow make landfall in Oregon. I had a lot of friends on the ground there, and was glad to know clouds and wildfire smoke would not prevent them from seeing what totality. The ZAPPERS arrived on scene not long after, understandably not happy about ATC but they wanted to make sure to give us some good chances for images considering what happened. 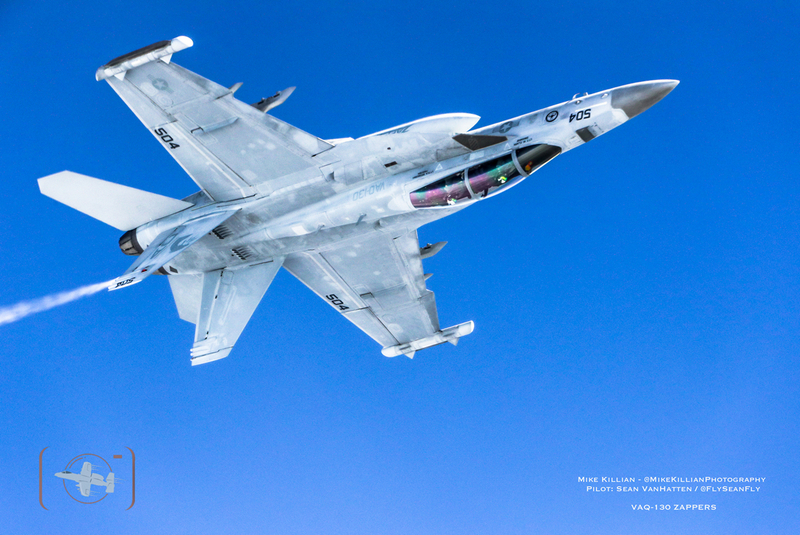 Their Growlers retain all of the F/A-18E/F’s multi-mission capabilities, and integrates the latest electronic attack technology such as the ALQ-218 receiver on the wingtips and ALQ-99 jamming pods fitted to weapons pylons, both of which are the most visible differences between the Growler and Super Hornet. 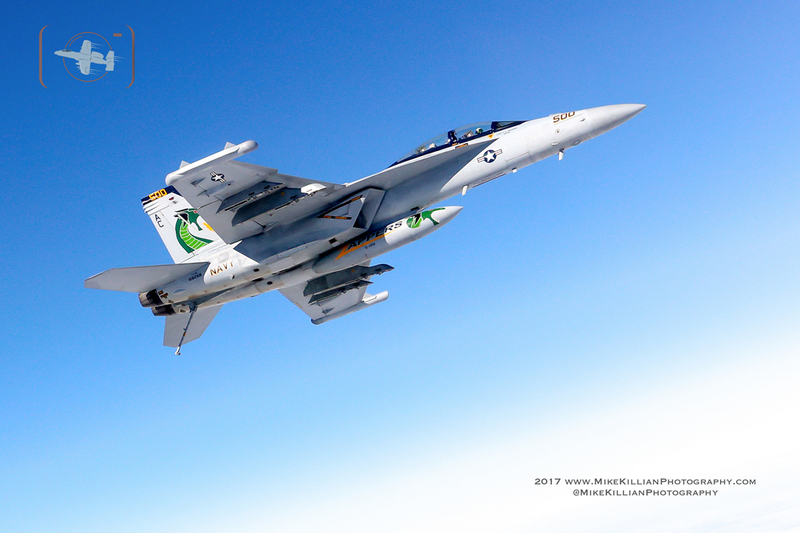 The jet features the APG-79 Active Electronically Scanned Array radar, and can also carry conventional weapons for self-defence such as the AIM-120 AMRAAM air to air missile and AGM-88 HARM anti-radar missile. It’s a lethal and survivable weapon system, but it’s important to remember the Growler is a support platform, not a fighter aircraft; they ensure the strike fighters and ground forces are covered and can get in and out of harm’s way safely by disrupting, suppressing and/or disabling an enemy’s radar-based defenses, communications and airborne and ground-based anti-aircraft missile capabilities. 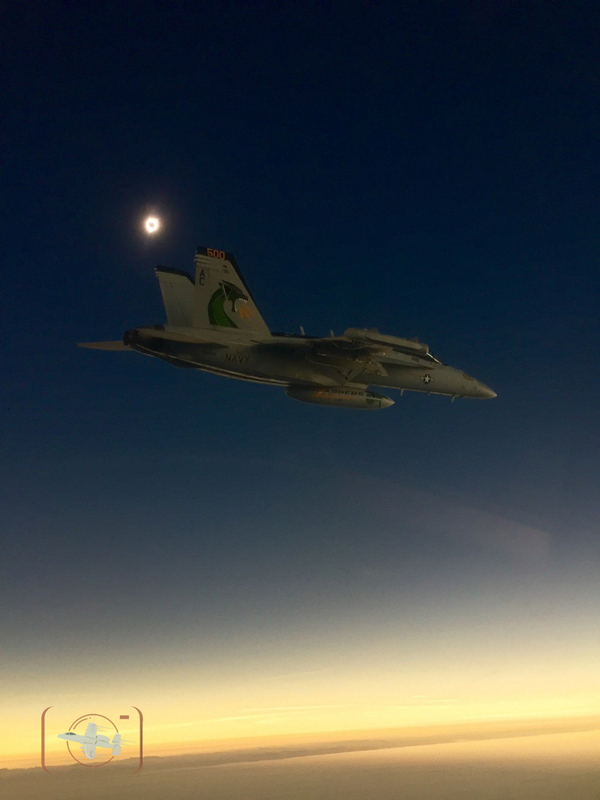 And while ATC may have sandbagged the mission, it was still a memorable experience, not everyone gets to fly a jet into a total solar eclipse, or fly along the ZAPPERS to produce aerial imagery. 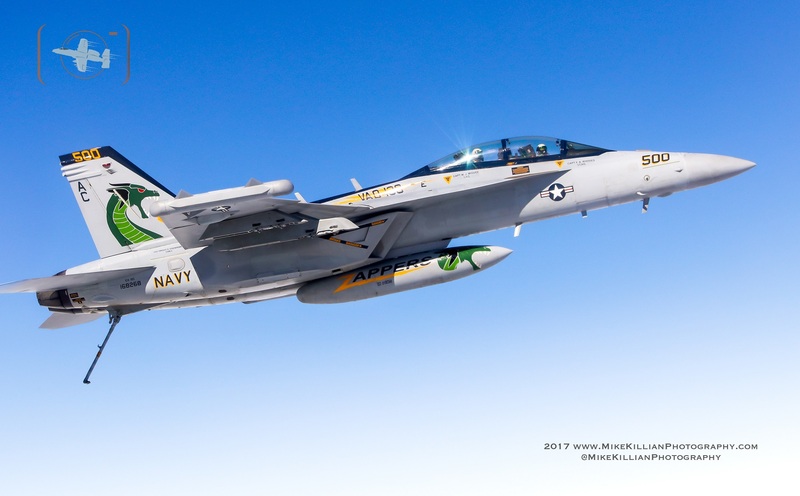 My thanks again to VAQ-130 and Commander Brendan “TESS” Stickles, Chief of the Navy, Rick VanDam and Advanced Flight Dynamics, and my pilot Sean VanHatten. Mike Killian is a spaceflight & aerospace / aviation photojournalist who currently calls Florida's "Space Coast" home, where America's launch pads are his office as Managing Editor for the online daily space-news magazine AmericaSpace. Over the years his assignments have brought him onboard NASA's space shuttles, front row for launches of spacecraft to other worlds, in clean rooms with Mars rovers, in the skies producing air-to-air photography and videography with civilian and military aircraft, pulling G's with air show performers like World Champion Aerobatics pilot Rob Holland, the GEICO Skytypers and U.S. Navy Blue Angels, and on space-launch range clearing Pave Hawk missions with the Air Force (to date the only photojournalist to do so). In the time since, Killian's work has been featured on ABC World News Tonight, National Geographic, NBC News, CNN, BBC, Weather Channel, and has been used by organizations such as the Air Force, NASA, Airbus, SpaceX, Boeing, National Park Service, Go Pro, hotel chains and various magazines and websites. Mike also volunteers as a team photographer / videographer with Thom Richard and his Florida-based Precious Metal / Hot Stuff air racing teams, and keeps busy elsewhere producing articles and imagery for several publications and various marketing and advertising campaigns for several companies.